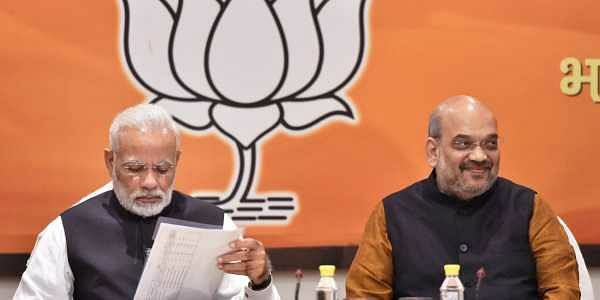 Yesterday, the party had announced 70 candidates, including Chief Minister Vijay Rupani, Deputy Chief Minister Nitin Patel and state party chief Jitu Vaghani. NEW DELHI: The BJP on Saturday released second list consisting of 36 candidates for Gujarat Assembly elections. The party clearly showing faith in fresh faces has given tickets 19 first timers. The BJP has so far released names of 106 out of a total of 182 candidates for the poll-bound state. The BJP had fielded 16 new faces in the first list. Seeking to extend the hold on the state further after being in power for 22 years, the BJP in its two lists so far has fielded 35 new faces. In the second list, the BJP has fielded 13 tribal and two Dalit candidates. The party has denied nominations to seven legislators so far. The BJP is expected to release remaining candidates for 76 seats in the next few days. Incidentally, the central election committee meeting of the BJP on Wednesday had approved candidates for almost all the constituencies. While Patidar had been BJP's core vote base, the party is seeking to protect its core supporters by fielding candidates from the caste in a large number. The BJP has a block of 44 sitting MLAs hailing from the Patidar community.